When you are facing any type of criminal charge, you must have a competent criminal defense lawyer on your side. At Whittel & Melton, we stand ready to provide you with the personalized legal representation you need to achieve a successful outcome for your case. As former prosecutors, we understand Florida criminal law and can effectively negotiate and litigate your case. If you are under investigation for or have been arrested for a crime, you need to be aware of your rights. It is extremely important to understand that police and prosecutors will do little to advise you of your rights. In fact, as long as they suspect you have committed a crime, they will do everything in their power to make sure you are prosecuted to the fullest extent of the law. For this reason alone, you must assert your rights early on and enlist the help of a Miami-Dade County Criminal Defense Lawyer at Whittel & Melton who can make sure you are protected both in and out of the courtroom. At Whittel & Melton, our firm has the knowledge and experience needed to represent you aggressively all while looking out for your best interests. If you or someone you love is facing criminal charges throughout Miami-Dade County, call us today at (866) 608-5529 to get started with your defense. If you know one thing, know this: criminal proceedings are convoluted and complex. If you fail to retain the best representation for your criminal mater, you may wind up spending unnecessary time behind bars or be required to pay a larger fine. A Miami-Dade County Criminal Defense Lawyer at Whittel & Melton will work around the clock to understand your case and to prepare the strongest defense possible so that you the have the greatest opportunity for success. We cannot guarantee what will happen for your unique situation, but we can guarantee that we will do everything legally possible to reduce the consequences of a conviction and make sure you receive a fair trial. We invite you to contact us today regarding your criminal matter. A Miami-Dade County Criminal Defense Lawyer at Whittel & Melton can begin fighting for your rights immediately. 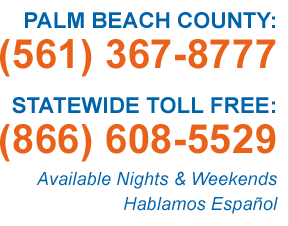 For a free consultation, call us statewide and toll-free at 866-608-5529, or visit us online. At Whittel & Melton, we proudly defend clients throughout Miami-Dade County, including the cities of Aventura, Bal Harbour, Bay Harbor Islands, Biscayne Park, Coconut Grove, Coral Gables, Cutler Bay, Doral, El Portal, Florida City, Golden Beach, Goulds, Hialeah, Hialeah Gardens, Homestead, Indian Village, Islandia, Kendall, Key Biscayne, Leisure City, Liberty City, Medley, Miami, Miami Beach, Miami Gardens, Miami Lakes, Miami Shores Village, Miami Springs, North Bay Village, North Miami, North Miami Beach, Opa-Locka, Palmetto Bay, Pinecrest, Pinewood, Princeton, Richmond Heights, South Miami, Sunny Isles Beach, Surfside, Sweetwater, Virginia Gardens, West Miami, Westchester and Westwood Lake. BE WARNED - We do NOT recommend that any existing Miami-Dade County clients contact any of the below listed government agencies. We do advise that all of our clients learn as much information as possible about their case and their rights. We strongly urge you to contact us first, and then use the resources below to learn more information that may help with your criminal defense.